ARE increased costs making it hard to become prosperous? IS employee turnover too high? IS finding the best talent too expensive? IS workplace safety or low productivity a problem? Fortune 100 companies solve all these problems effectively. They have fully staffed human resource departments implementing specific programs that keep organizational performance high. Not so, unfortunately, for non-profits and smaller companies, and that can cost you everything. Resources and tools to expertly correct performance problems haven’t been readily available…until now. Finally, the expertise, strategies, and details for HR programs used by the best organizations in the world are available right now for small organizations like yours! It’s rich, step-by-step training, an expert HR insider’s guide, with all the templates and details you need to transform your organization into a lean and potent powerhouse. HR consultants will run you thousands of dollars. If you can’t afford that, this Toolkit makes learning HR leadership and implementing the best programs a reality, right away. As your organization’s efficiency and performance improves through these first-rate techniques and programs, your cost savings will skyrocket, too! This program uses best HR practices from top companies like The Quaker Oats Company, Merck & Company and Eastman Kodak Company! You get the best programming available! Most importantly, it secures prosperity for your organization in the toughest of economic times. For one unbeatable price, you get all five in-depth human resources training programs, plus all the companion materials, which cover the most important areas to boost organizational performance. Start building your organization into a higher performing one by using the ready-made meeting outlines and agendas. Plus, you can rely on the expertly crafted templates for each program to make transformation and improvement a reality, starting on day one. How to craft solid Mission, Vision, and Value commitments for your organization the right way. How to create and use high-performance job descriptions for greater efficiency and improved quality and productivity. How to keep performance high through an effective and enjoyable employee review process, a process that your employees will embrace and enjoy instead of dread. How to effectively and efficiently find and keep qualified talent for a fraction of the cost your competitors pay. How to boost morale and ensure your employees feel appreciated, purposeful, and excited to be doing good work. You already know that it’s never been harder to run an organization well as it is today. This is the worst sustained economic turmoil in 85 years. Only the most efficient, highest-performing organizations will survive. Inefficiency and weak human resources leadership could could cost you everything. 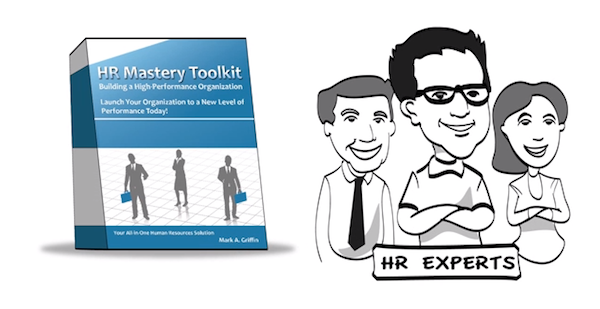 The expertise and training in the HR MASTERY TOOLKIT is the key you need to save your organization’s hopeful future and save it from failure and secure a hopeful future. Have questions? Need an invoice rather than use PayPal? Contact us today we will be glad to assist you.